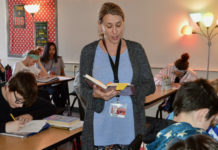 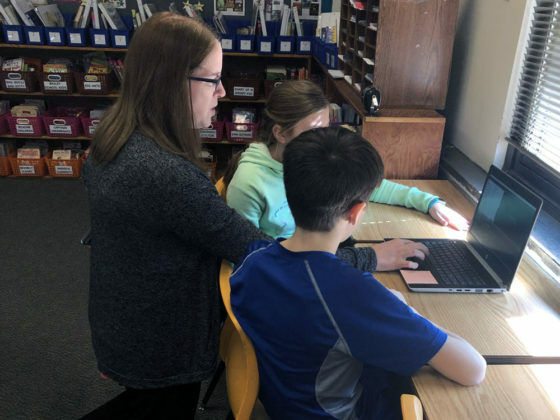 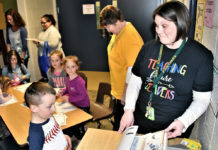 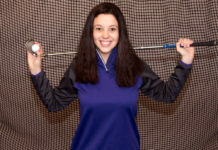 When the Caledonia News Network team got a grant from the Caledonia Schools Education Foundation for $1,200 in new equipment for the year, instructor Melissa Dehorn said they had to change the way they went about recording. 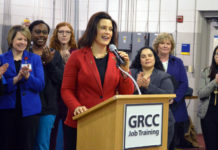 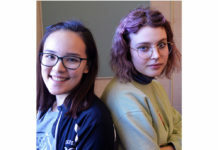 “We used to record while class was going on in the background, but when we got the new microphones, everything changed; you could hear everything,” she said. 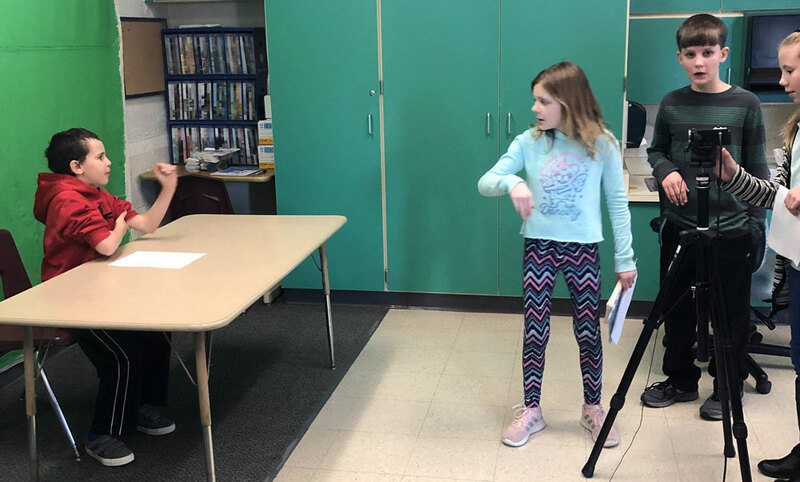 To solve their noise problem, the team started filming during recess for their Monday, Wednesday and Friday show — which meant giving up recess time. 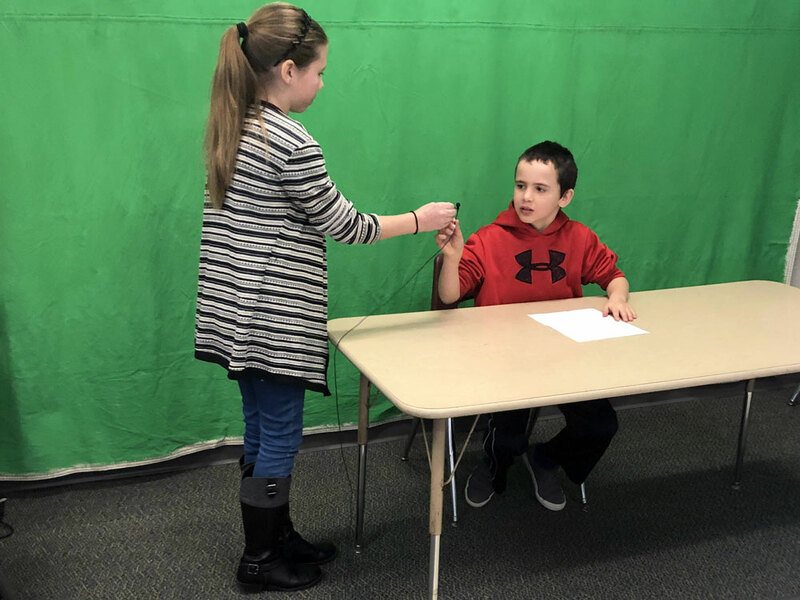 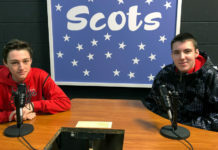 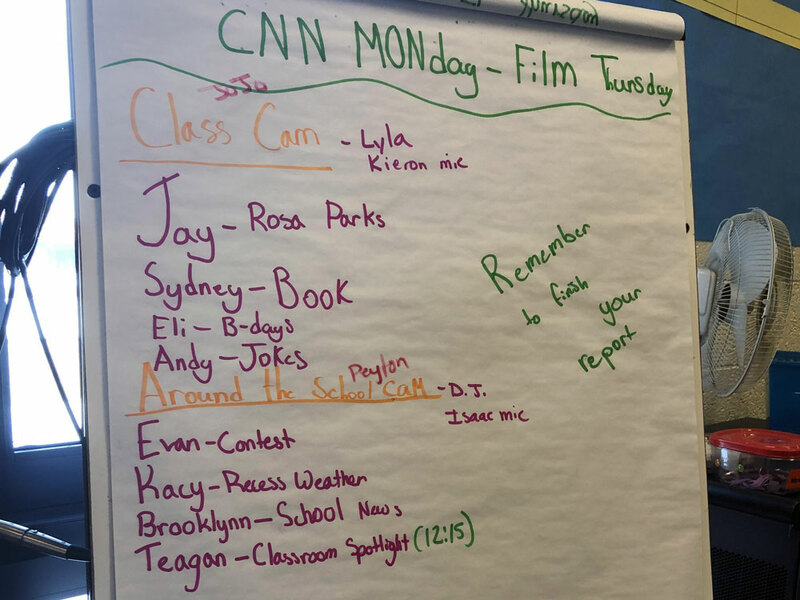 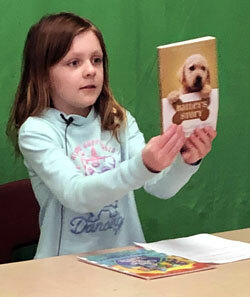 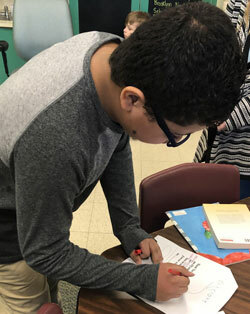 Every week, directors Payton Dehorn and Joelyn Abraham assign positions for their broadcast segments including book recommendations, birthday announcements, jokes, weather, school news and classroom spotlights. 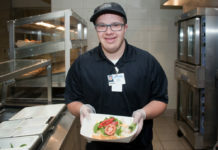 Some students film in the classroom in front of a green screen while another team shoots segments around school, including the weather report and classroom highlights, he said. 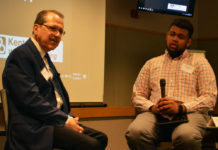 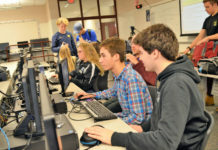 When the Caledonia News Network team started working with their new equipment, Dehorn reached out for tips to Mike Wilson at the high school news production team. 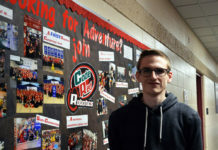 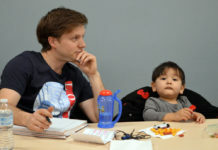 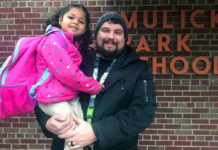 “It’s really nice to have a sense of community like that,” Dehorn said. In the future, the fifth-grade team hopes to cover bigger school events and get into more classrooms.